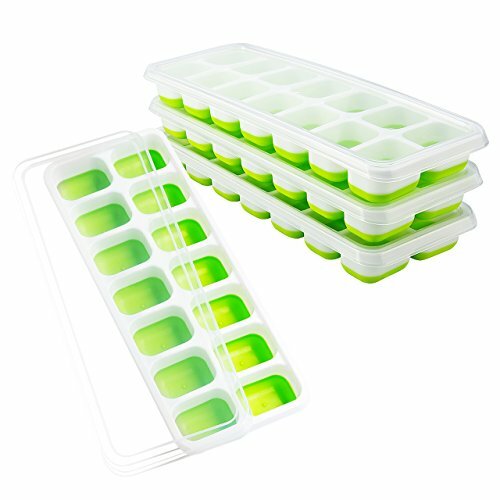 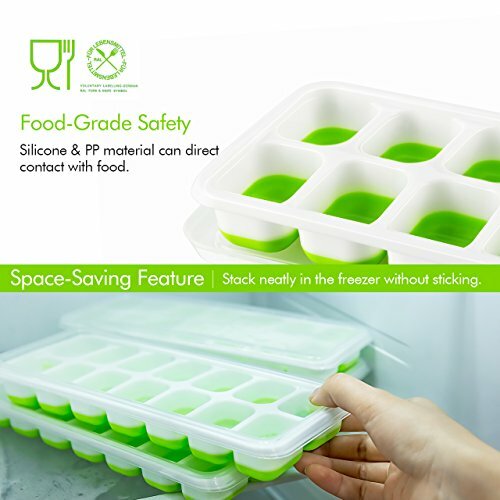 Food-grade safety Material: made of silicone and PP material which are certified by LFGB, these 4 ice cube trays safety and durability. 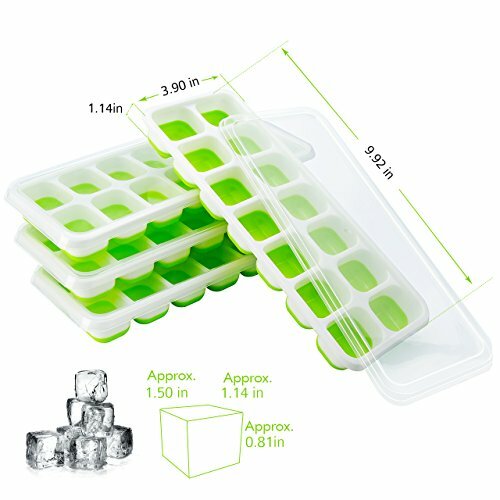 Each tray makes 14 nice-sized cubes for a total of 56. 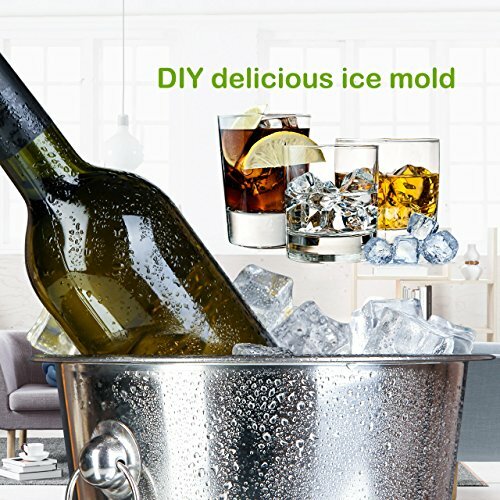 Great for home use, parties and bars etc. 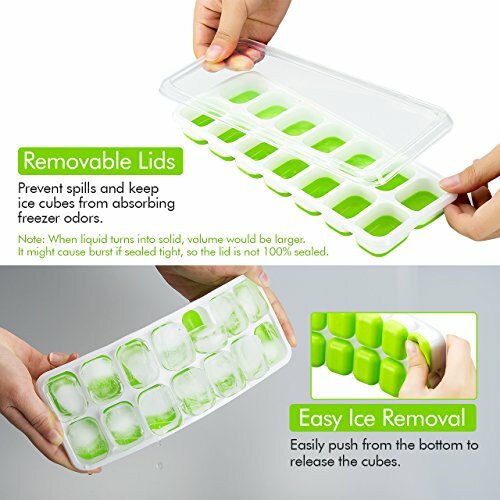 Sleek looking with snazzy Colors: designed with white and Green color to provide you much more pleasant ice-making experience. 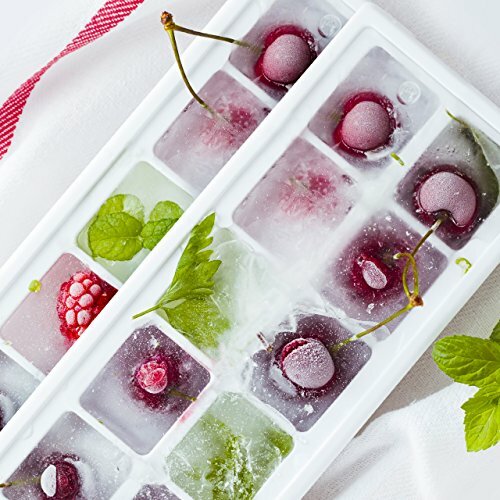 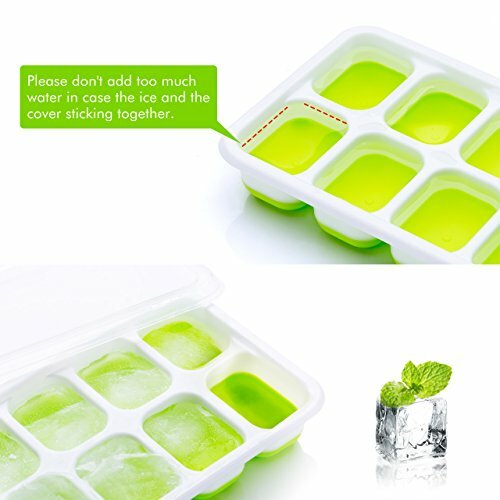 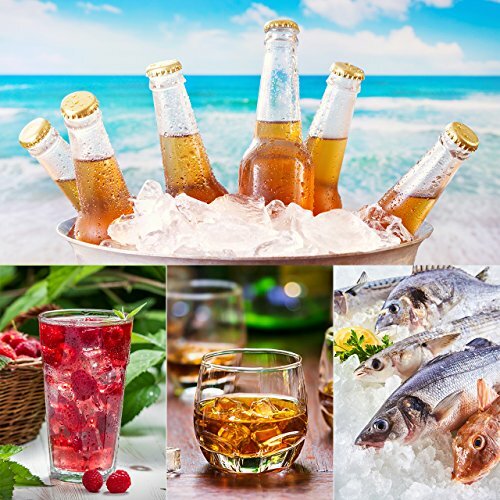 This ice cube set with 4 ice cube trays enjoys 45 days money-back and 12-month worry-free .